Airbus or Boeing: Which one do pilots prefer to fly? Travel Secrets: So which planes have you flown so far? Captain D’souza: Like any pilot, I trained on various small planes. These are either single or twin-engine, and usually have two seats for the two pilots on board and are hence called 2-Pilot Aircraft. I have commercially flown the Airbus and the Boeing, which are the planes at our company, for about 23 years now. TS: What’s your favourite plane? CD: If you ask any pilot, they’ll tell you that they like the Boeing better than the Airbus, and so do I.
CD: Well, let me put it this way. The Boeings put the pilot first and the Airbus puts the computer on top. Planes have changed a lot in the past 5-10 years and so have the cockpits. TS: Details, Captain? Secrets of each of the cockpits! CD: Okay, so the Boeing 777 has 33 computers that a pilot has to handle. They are not computers with QWERTY keyboards, but specially programmed computers controlling a particular function each. The job of the pilot is to control each of them. Having said that, if we feel that in a particular condition we should deviate from what the computer says, we can do so. In an Airbus, you can’t do that. 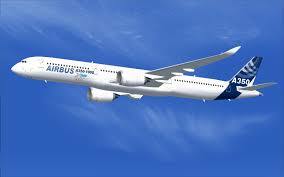 The Airbus looks like a meaner, neater machine because it is technologically quite advanced. It is supposed to make the pilot very happy. But does it? Frankly, not me! When you have flown almost half your life, you trust your instincts in an emergency. At least in my opinion that’s what a good pilot always does. And an Airbus puts limitations on you precisely in that respect. Once you are at an altitude, the computers take over. Say, the turbulence is really high at some point, the computer will give you the maximum deviation you can make and under no circumstance can you exceed that limit. You have a joystick-like control in your hand and you basically just follow what the computer says. So, while the Airbus is excellent for a ‘normal’ flight, a good pilot will feel the lack of authority and control in case of some problem! TS: Are there other differences too between the two? 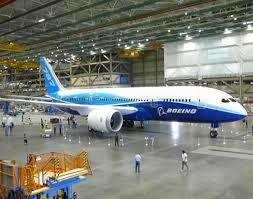 CD: Boeing aircraft are far more stable during turbulence. The Airbus has stiff wings that are designed for high speed flying and efficient fuel consumption, but they aren’t much help in turbulence. *Captain D’souza is not authorised to share his photo or the airline he flies. These are his personal views. TS has no bias toward either aircraft! Boeing is American. Airbus is European. An Airbus has a curved, bulbous nose, while a Boeing has a more pointed nose. Airbus cockpit side windows run in a straight line along the bottom. The side windows of a Boeing run in a ‘V’ shape along the bottom. Also Airbus aircraft cockpit side windows look like one of their corners have been ‘cut’. Only A340s, A380s and B747s have four engines. All other aircraft have twin engines. Curious to learn more about the two craft? Read up Arun Rajagopal’s superb blog. This Dubai-based social media manager says he’s ‘crazy about planes,’ and it shows! Breathe easy! Guess which of these has the best quality air to offer your lungs—a plane, train or bus? You got it: aircraft. That’s because cabin air is refreshed 20 times every hour. Want even better quality breathing? Get yourself a seat in one of the front rows—that’s the section of the plane with the best ventilation. Relax! Once airborne, it is virtually impossible to open plane doors. That’s because cabin pressure is much higher than the surrounding air pressure. When the plane climbs, the cabin air pressure pushes the door outwards, sealing it into place. When the plane reaches its cruising peak, it is impossible for anyone to open it. But hey, that doesn’t mean you should try it! We wondered, so we asked writer Hardyp Kaur to pin down Captain D’souza*, who flies both. Pilots are insured for the vehicles they fly commercially. You have to give details of the type of aircraft you fly when you fill up your insurance forms. If you are ever caught flying another type of plane, your insurance goes void. CD: If you ask any pilot, they’ll tell you that they like the Boeing better than the Airbus, and so do I. I am itching to fly the 787, the next generation Boeing! The Airbus looks like a meaner, neater machine because it is technologically quite advanced. It is supposed to make the pilot very happy. But does it? Frankly, not me! When you have flown almost half your life, you trust your instincts in an emergency. At least in my opinion that’s what a good pilot always does. And an Airbus puts limitations on you precisely in that respect. Once you are at an altitude, the computers take over. Say, the turbulence is really high at some point, the computer will give you the maximum deviation you can make and under no circumstance can you exceed that limit. You have a joystick-like control in your hand and you basically just follow what the computer says. TS: Well, if you look at it another way, isn’t the airbus really reliable on a day when some pilots are not? CD: Well, that’s true since you are in what may seem like the simulation mode with a joystick in hand and following the instructions, and it can feel like a test 3-D test to check your driving! But it is not. It’s a serious responsibility. In a way it is helpful too since the controlling base doesn’t have to deal with unnecessary input which can make the flight unsafe or uncomfortable since the computer allows for only so many variations for each situation. But while the Airbus is excellent for a ‘normal’ flight, a good pilot will feel the lack of authority and control in case of some problem! *Captain D’souza is not authorised to share his photo or the airline he flies.